Shure's GLXD series has been engineered from the ground up to be as simple to use as possible. Shure has made it so simple in fact, you don't even have to set frequencies or sync transmitters anymore! All you have to do is turn on the receiver and transmitter, and the system does the rest. This is accomplished with Shure's revolutionary LINKFREQ Automatic Frequency Management technology. As soon as you turn on the components, the receiver searches for a clear frequency for operation, sets itself and the transmitter to the frequency and it's ready to go. It couldn't be simpler. The included GLXD4 receiver and GLXD2 transmitter are constantly communicating with each other. Because of this constant link, the transmitter gain can even be adjusted on the receiver. 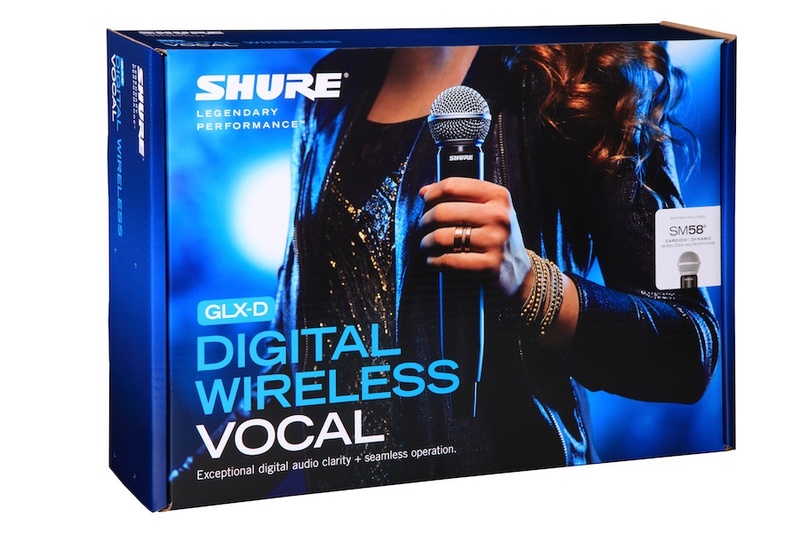 Another benefit of the Shure GLXD24/SM58's LINKFREQ technology is its ability to automatically avoid interference. The GLXD24/SM58 operates in the 2.4GHz spectrum and is always searching for clear frequencies. 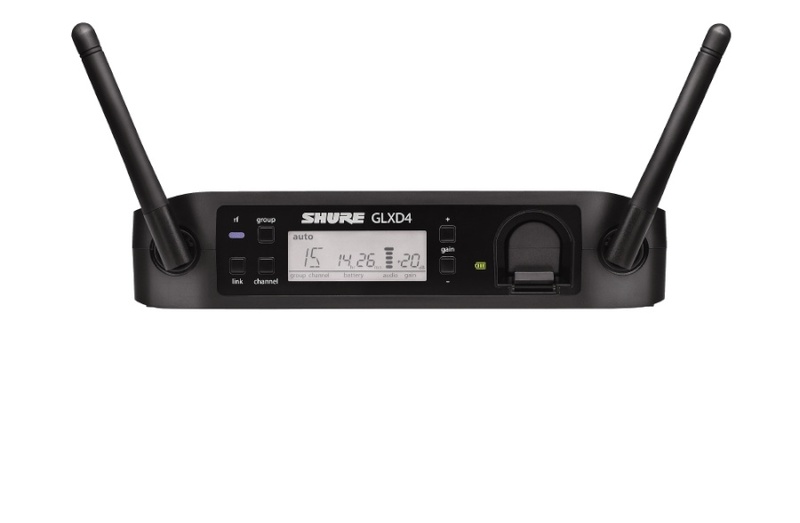 If interference is detected on the frequency in use, the GLXD24/SM58 will automatically switch the receiver and transmitter to a new, clear frequency, all without any interruption in the audio. It's so seamless and fast, you won't even know it's happening. Inherited from the ULXD line, the Shure GLXD24/SM58 system features an intelligent rechargeable lithium-ion battery system. Get up to 16 continuous hours of use on a single charge. When the battery is ready to be charged, the GLXD24/SM58 gives you multiple charging options. 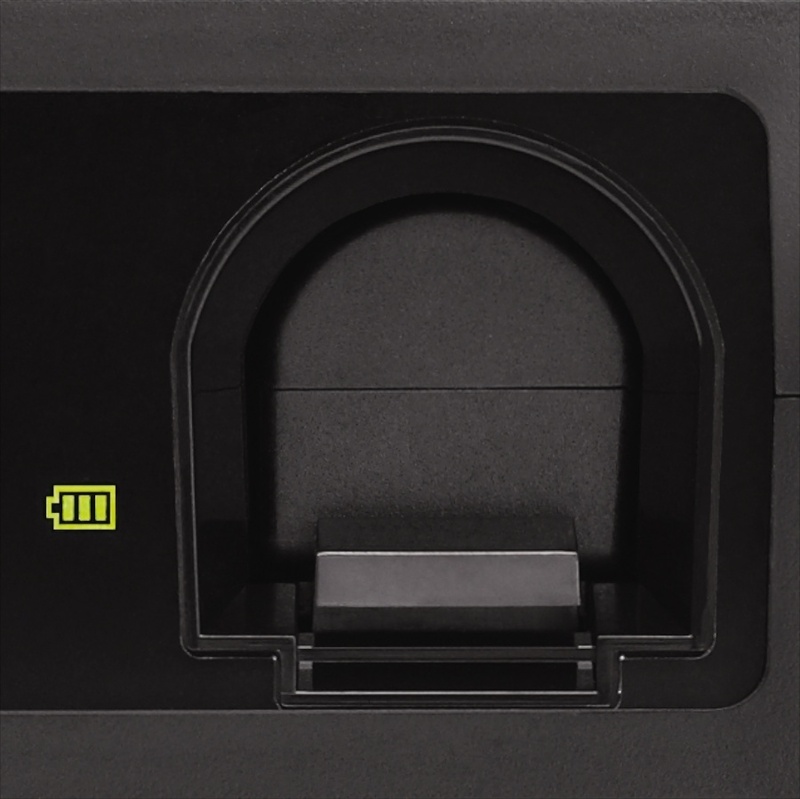 You can take the lithium-ion pack out of the transmitter and simply insert it into the charging port on the front of the GLXD4 receiver. No separate charger required. In the van on the way to the gig and need to charge? No problem. The GLXD24/SM58 includes a handy USB charging cable that plugs into any standard USB port on a computer. You can even get a USB car charger to always have a way of charging your battery packs. The GLXD24/SM58's receiver also tells you when the battery is getting low and needs to be recharged. It has a convenient time based display showing how much time is left on the battery's charge. No more getting surprised at a gig. If you have an extra battery pack in the receiver at a gig and run out of juice in the middle of the show, a quick battery swap will take care of the problem in seconds. Shure is widely known throughout the industry for its rugged build quality and reliability. The GLXD24/SM58 is no different. The GLXD4 receiver is made from a thick rugged plastic and the GLXD2 transmitter features the same thick plastic chassis and rock solid build for years of reliable use.